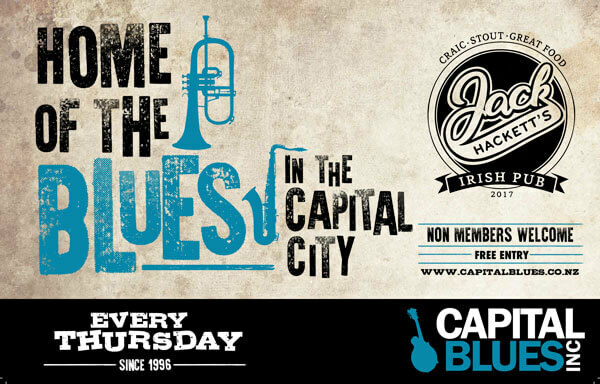 Jam Night at Jack Hackett’s – MC Warwick Murray – Capital Blues Inc.
« New Home of the Blues in Wellington! Our first Blues Jam in the new venue! Thursday 29 November at Jack Hackett’s Irish Pub at the crossroads of Dixon and Taranaki streets.